Schedule Your Car Care, Based on Mileage! 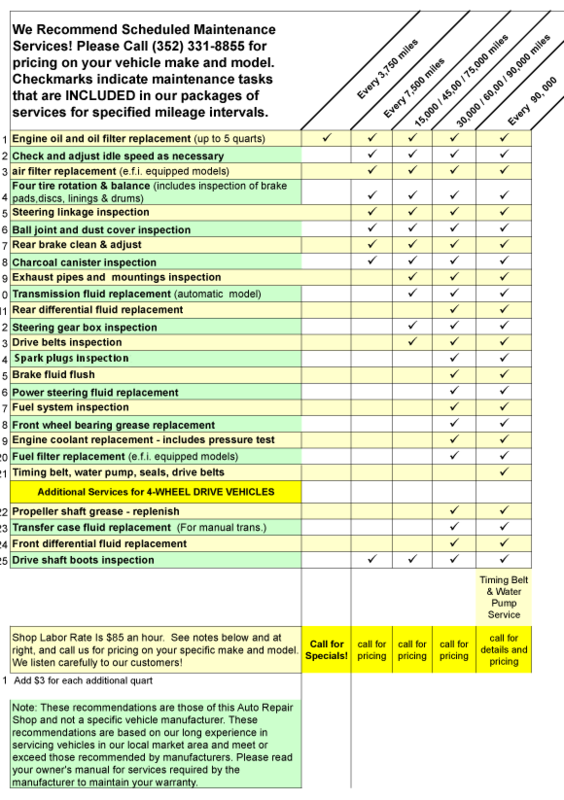 Home » Schedule Your Car Care, Based on Mileage! Maintenance is the lifeblood of any vehicle. Regularly scheduled maintenance is the smartest way to prevent small problems from becoming costly repairs. Regular maintenance protects your investment in your vehicle, extends the life of your car, and helps your car perform efficiently, saving money on gas. A well-maintained car provides peace of mind and increases your safety, whether you are driving around the corner or cross-country. Finally, if you sell your car, complete maintenance records increase the value of your car significantly. We will keep a record for you of all maintenance services performed.